> College of Arts & Sciences > Departments & Faculty > Historical & Political Studies > IPCR Program > What Can I Do with a Conflict Resolution Degree? A Master’s degree in conflict resolution will help make you competitive in jobs in every sector: public, private or not-for profit. “Over the past two decades, the field of international peace and conflict resolution has grown substantially” with increased funding for peace and conflict resolution work by various U.S. government agencies, foundations, and international NGOs (ACT 2005). All of these jobs are growing at an average or faster than average rate according to the U.S. Department of Labor. Most IPCR degreed professionals will not necessarily land jobs that are “conflict resolution” jobs, but rather jobs in education, business, government, development or health fields doing conflict resolution work. Over 50% of our alumni work in NGO’s, another 20% in government, 20% in education related fields, and the remaining 10% in the private sector. IPCR faculty, staff and alum work together to help graduates successfully navigate professional placement and development. To give you a sense of the entirety of the field of peacebuilding, JP Lederach and Kate Mansfield created the graphic at right. 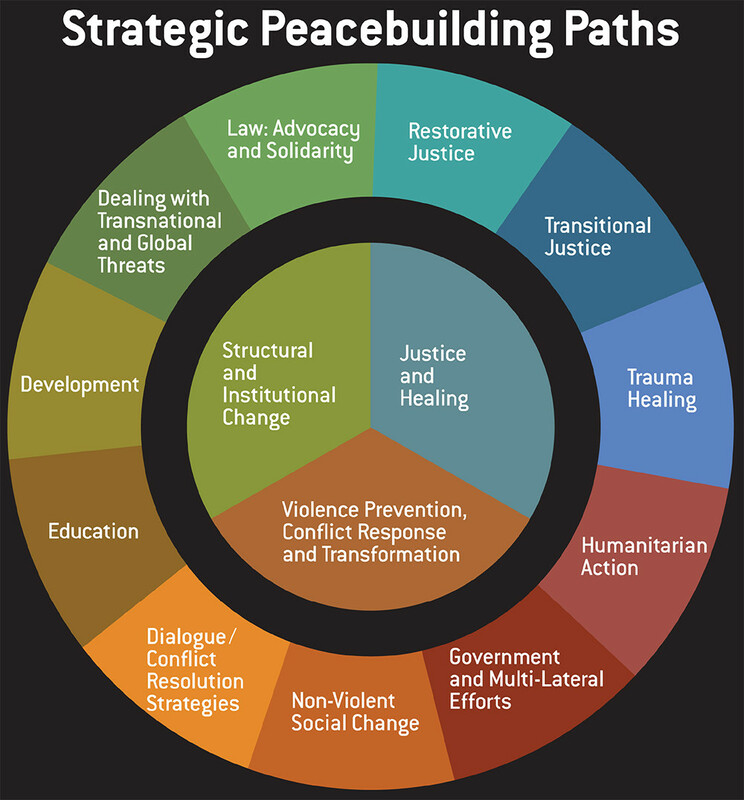 It illustrates the components and subcomponents of the field of peacebuilding and how they relate to each other. Efforts to promote structural and institutional change.